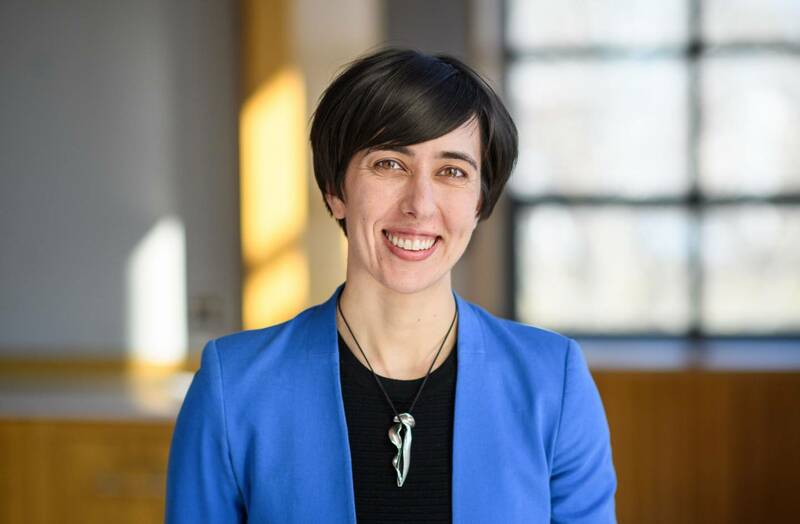 Alisha Holland, an assistant professor of politics at Princeton University, went to Colombia, Chile and Peru to conduct research for her first book, “Forbearance as Redistribution: The Politics of Informal Welfare in Latin America” (Cambridge Studies in Comparative Politics, 2017), which grew out of her doctoral dissertation at Harvard University. Holland studies the comparative political economy of development, with a focus on Latin America, urban politics and social policy. July 11, 2017 9:42 a.m. While at Princeton, Alisha Holland, a 2007 alumna, wrote her senior thesis on the political and legal responses of Central American nations to rampant gang-related violence, and traveled to El Salvador and Guatemala to conduct fieldwork. Then, she said that she intended to return to Latin America after graduation — and she did. Now an assistant professor of politics at Princeton, Holland went to Colombia, Chile and Peru to conduct research for her first book, “Forbearance as Redistribution: The Politics of Informal Welfare in Latin America” (Cambridge Studies in Comparative Politics, 2017), which grew out of her doctoral dissertation at Harvard University. Holland studies the comparative political economy of development, with a focus on Latin America, urban politics and social policy. “Forbearance as Redistribution” draws on intellectual passions that she has been nurturing since she was an undergraduate: for the law, social policy and inequality. As a student, Holland was awarded the University’s Moses Taylor Pyne Honor, the highest general distinction conferred on an undergraduate. She majored in the Woodrow Wilson School of Public and International Affairs and earned a certificate in Latin American studies. Holland co-founded the Latin American Studies Student Organization and helped start Princeton Against Protectionism, a group dedicated to promoting freer trade in food. 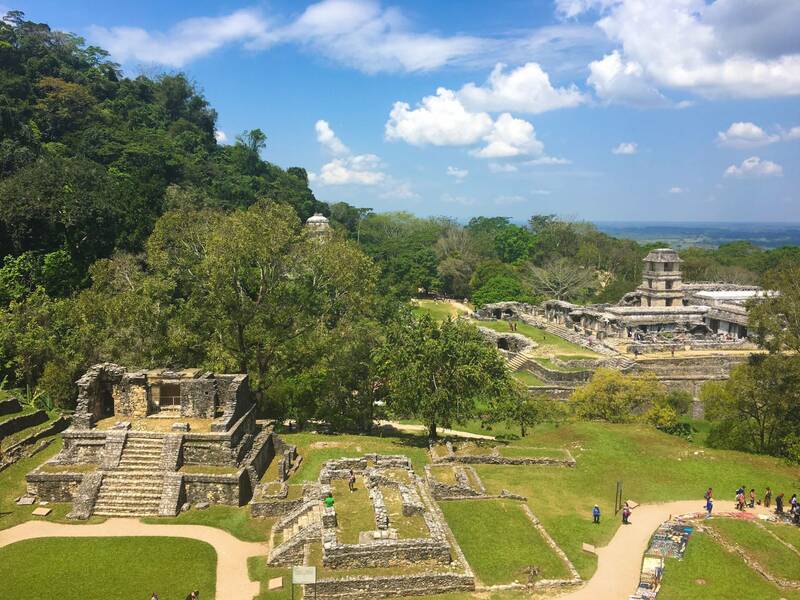 This spring, 11 Princeton undergraduates in the course “The Art and Politics of Ancient Maya Courts” had an unusual assignment: deciphering hieroglyphs. “This course is a deep dive into the art and culture within Maya courts from about 600-800,” said Bryan Just, the Peter Jay Sharp, Class of 1952, Curator and Lecturer in the Art of the Ancient Americas. “While visual culture was our focus, the goal was to provide students with the basic skills to contextualize and understand that material. This included learning to read hieroglyphs as well as exploring archaeological and ethnographic literature in addition to art historical studies,” he said. 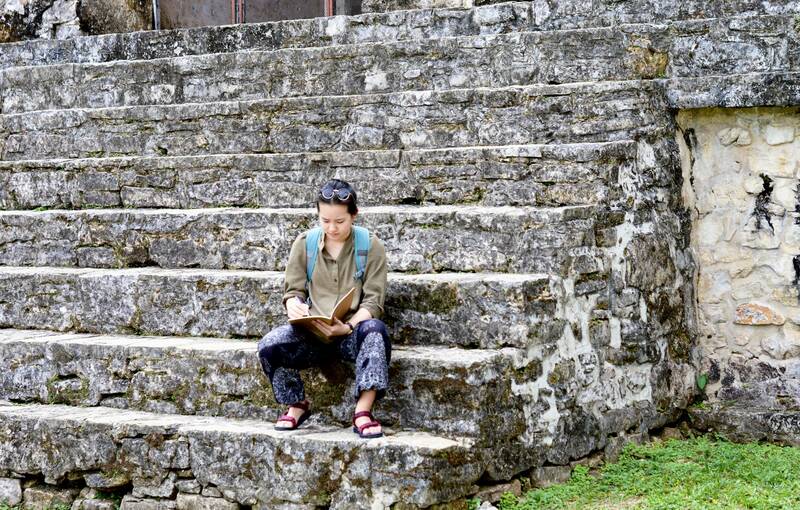 Our class stopped in the interior court of Palenque’s palace, and I was drawn to the multiple sets of stairways leading down into the court from all sides. My sketchbook is always with me when I travel so I can jot down notes alongside drawings, and here I made note of the interesting glyphic staircase describing Palenque’s return to regional prominence under the direction of King K’inich Janaab Pakal. The sketch proved quite useful when I referenced the readings on Palenque after the visit, and allowed me to contextualize our visit by orienting my sketch alongside maps of the site. What: A workshop presentation of a new play that follows a Maya family living in the highlands of Guatemala, the soldiers who occupy their village, and the spirits that guide and haunt them all during the most violent moment from the Guatemalan civil war. When: April 28, 29, May 3, 4, and 5 at 8 p.m. Audience talkbacks follows April 29 and May 3 performances. 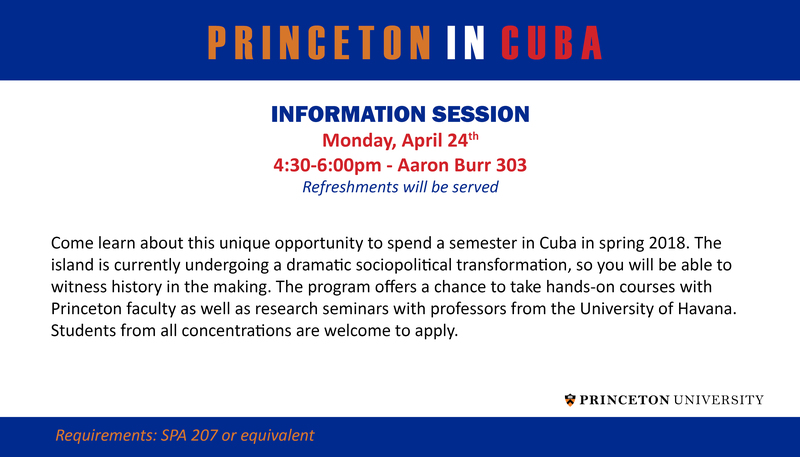 Princeton in Cuba Information Session! Come Learn about this unique opportunity to spend a semester in Cuba in spring 2018. The island is currently undergoing a dramatic sociopolitical transformation, so you will be able to witness history in the making. 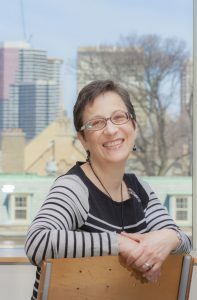 Early on March 28, 2017, the UTM and entire University of Toronto community lost our dear colleague and friend, Professor Ana Maria Bejarano, to cancer. A deeply devoted teacher in the Department of Political Science, Ana Maria touched thousands of students through her courses on comparative politics and Latin America and even broader audiences through her research scholarship on democratization and constitutionalism in the Andes region. Hailing originally from Bogotá, Colombia, she remained deeply committed to collaborating with her research colleagues in the Andean region. Cubans have an international reputation for their spirited high-quality art, which is manifested in mediums such as paintings, sculptures, cinema, music, as well as the design of structures. This exhibition focuses on selected “thin shell” structures designed and built in the mid-20th century in Havana. Thin shell structures are long-span roof coverings, which in this case are built out of reinforced concrete and/or terracotta tiles. As a whole, these structures illustrate the creative artistic talent of Cuban architects and engineers. When cities host huge global events, they become the site of big dreams — and big disagreements. Last year’s summer Olympics in Rio de Janeiro drew much criticism for large-scale development that displaced residents and exacerbated socioeconomic divides. It also spurred intense debate about what kind of city Rio should be. 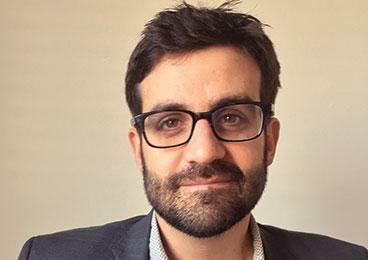 Those themes are explored in Occupy All Streets: Olympic Urbanism and Contested Futures (Terreform), co-edited by Rio native Bruno Carvalho, a professor in the Spanish and Portuguese department and co-director of the Princeton-Mellon Initiative in Architecture, Urbanism, and the Humanities. Carvalho spoke to PAW about last year’s Olympics and Rio’s past, present, and future. In the book, you describe moments in history when different conceptions of Rio took hold. What were they? We can think in terms of epithets: In the 1930s a Carnival song popularized Rio as the “Marvelous City,” and it became the city anthem in the 1960s. But the epithet had come about in the context of early 20th-century urban reforms that tried to reinvent Brazil in a more modern, elitist, Paris-inspired mold, and it excluded the majority of the city that didn’t conform to this image. This fall semester, Princeton students in the course “Contemporary Art: The World Picture” examined how large-scale art exhibitions challenge and transform the way we look at the world. A key component of the class was a fall break trip to Brazil to visit the 32nd São Paulo Bienal. The students met fellow scholars at the Universidade de São Paulo, which has a strategic partnership with Princeton. Francesco Perrotta-Bosch, a graduate student at the university’s school of architecture and urbanism, led the class on a tour of modernist buildings, museums and cultural centers. Students from the architecture school led a walking tour they created called an “urban safari” throughout the city. Cristina Freire, professor and curator of the university’s Museum of Contemporary Art, showed the group an exhibition she has been working on for several years, which focuses on Latin American art in the university’s collection. The course was supported by the David A. Gardner ’69 Magic Project in the Humanities Council, the Department of Art and Archaeology, the Program in Latin American Studies, and the Princeton-Mellon Initiative in Architecture, Urbanism and the Humanities. Programmatic and logistical support was also provided by the Office of the Vice Provost for International Affairs and Operations.